R Baker (Electrical) Ltd manufacture standard and custom built three phase transformers. Our transformer range starts at 500VA and goes up to 250KVA rating. 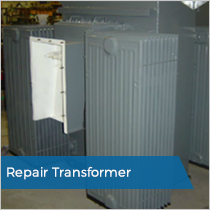 We manufacture a broad range of three phase transformers to our customer’s specifications. Each transformer is manufactured in the UK from our premises in Liverpool. In the UK we are leading the way with transformer design and production. Our team offer world class advice and engineering solutions. The business has the in-house capabilities to design, reverse engineering and manufacture to any specifications. 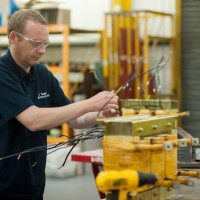 With over 35 years of transformer manufacturing experience our team have a wealth of knowledge. Our team have designed and built a wide range of three phase transformers each with a unique application. Transformers are available in different styles, sizes & configurations for single to three phase applications. In addition to our engineering & technical support we have a quality assurance programme in place. The business and range of transformers are approved to ISO 9001. This standard of quality management systems is designed to help organisations meet the needs of customers. Further to this all three phase transformers conform to BS EN61558 and EN 60076 standards. Due to our customer base being very diverse we have ongoing projects which require us to work with the likes of; DNV, BSI, Lloyds, Nemko, NSN and VDE. We have a commitment to drive innovation through our design and manufacture processes. We use the latest design software and technologies to ensure the highest of quality. Regardless of your requirements, our team are here to help. In addition to our manufacturing services we also offer a full rewind service. With over 35 years of handling emergency and non-emergency repairs we have built up a wealth of experience. Our rewind facility has the capability to rewind single and three phase transformers. Our facility is ideally to positioned to service the whole of the UK. Transformer rewinding, although sometimes more expensive than purchasing a new transformer, may be the only option due to obsolescence. Furthermore, a three phase transformer rewind may have a shorter lead time than a manufactured item. Our in-house team are here to help regardless of transformer brand. We have the knowledge and skill to reverse engineer damaged equipment to ensure the original specification does not change. R Baker (Electrical) Ltd's team is available 7 days a week; providing you with total peace of mind. Please feel free to call us today on 0151 486 6760 to discuss your requirements. With our experience we have found that each transformer specification is unique. 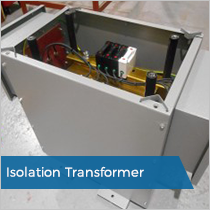 For this reason we offer a full range of three phase transformer enclosures. Depending on your requirements our transformers range can be supplied with or without an enclosure. Each enclosure can be custom made to meet your precise requirements. We offer ATEX / EXd enclosures suitable for gas and dust environments, but we can also supply standard IP23 enclosures. 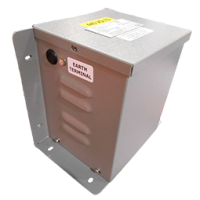 All transformer enclosures can be produced from stainless steel or aluminium depending on your specification. Our team attended our client's site to remove a three phase 750kVa transformer; which required one of the phases to be rewound. This was achieved with 2 day turnaround to ensure production was up and running as soon as possible. Our team designed and manufactured a three phase, 100kVA isolation transformer, designed to be used within a UPS system with customer specified MCCB protection and in a Delta/Star configuration. Our team have also manufactured a range of transformers to the same specification ranging from 10kVA up to 200kVA. We enjoy a strong relationship with BAE Systems, which sees us regularly undertake large-scale project work for their operations. 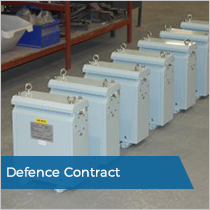 In 2009 R Baker (Electrical) Ltd manufactured key electrical transformers for The Queen Elizabeth class super carriers, which are expected to enter service in 2016 and 2018. We also manufactured fuse panels for HMS Ocean and the Khareef class Corvette project. By working in close partnership we offer BAE Systems a high level of service, from design, to development and manufacture.